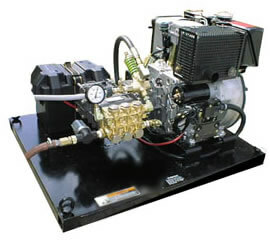 Diesel engines are the most durable engines ever made for power washing industry. They will outlast any electric or gas engine power washer for up to 50% of its lifetime. It is worth choosing one. 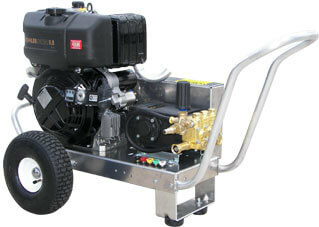 Note: Diesel pressure washers are build per order and are Non-cancelable, non-returnable. For more power, speed and freedom, consider a pressurewasher with a diesel engine. This is the one of the most popular units on the market today. The X Cart is a handy heavy duty industrial diesel fired machine that is especially easy to maneuver with its hand cart design. 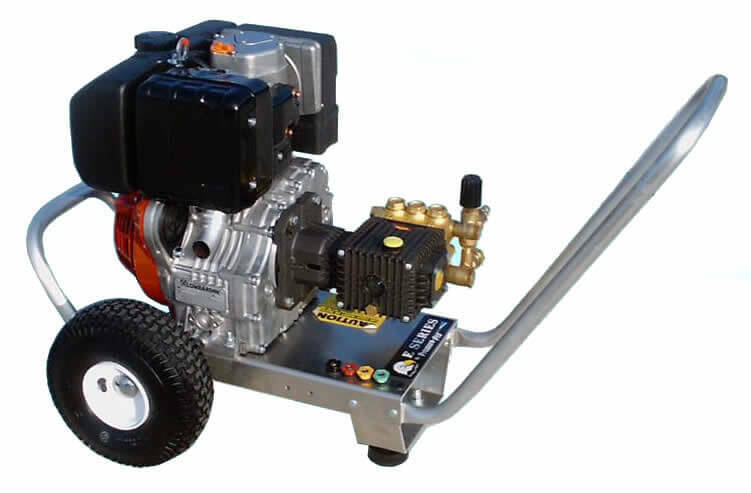 2500 / 3000 PSI at 4.0 gpm is plenty of power to high - pressure clean anything from sidewalks to semi trailers. The weight can vary between 185 and 300 lbs depending on the size of the engine. These units are intended to be used outdoors and must be properly vented if used indoors. The difference between this and the previous power washer model is that the Skid Style does not come with a pushing bar and has no wheels. 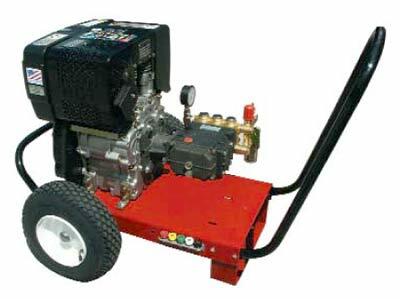 However, this type of diesel power washer has models that have more power in three categories: PSI, GPM, and horsepower. Consequently, engine fuel capacity is almost 50 % larger. Pumps can handle fluids on as much as 160° degrees Fahrenheit. This type of diesel powerwasher is great as a stationary unit suitable for truck, van or a large open indoor areas, which require constant powerwash cleaning.